NEGROMANCER 2.0: Image Kills Again with Second Printing of "Kill or Be Killed #1"
Image Kills Again with Second Printing of "Kill or Be Killed #1"
The bestselling team of Ed Brubaker and Sean Phillips (THE FADE OUT, CRIMINAL, FATALE) have hit the mark again with another hot new crime series in KILL OR BE KILLED. Image Comics is pleased to announce that the first issue is being rushed to a second printing in order to keep up with increased customer demand. KILL OR BE KILLED follows a young man who is forced to kill bad people and how he struggles to keep his secret as it slowly ruins his life and the lives of his friends and loved ones. Both a thriller and a deconstruction of vigilantism, KILL OR BE KILLED is a departure from Brubaker and Phillips’ noir roots and is unlike anything the creative team has ever done. KILL OR BE KILLED #1 remains available for purchase across all digital platforms, including the Image Comics website (imagecomics.com), the official Image Comics iOS app, Comixology’s website (comixology.com), iOS, Android, and Google Play. KILL OR BE KILLED #1, 2nd printing (Diamond Code JUN169199) will be available in stores on Wednesday, September 7th, 2016. The final order cutoff date for retailers is Monday, August 15th, 2016. 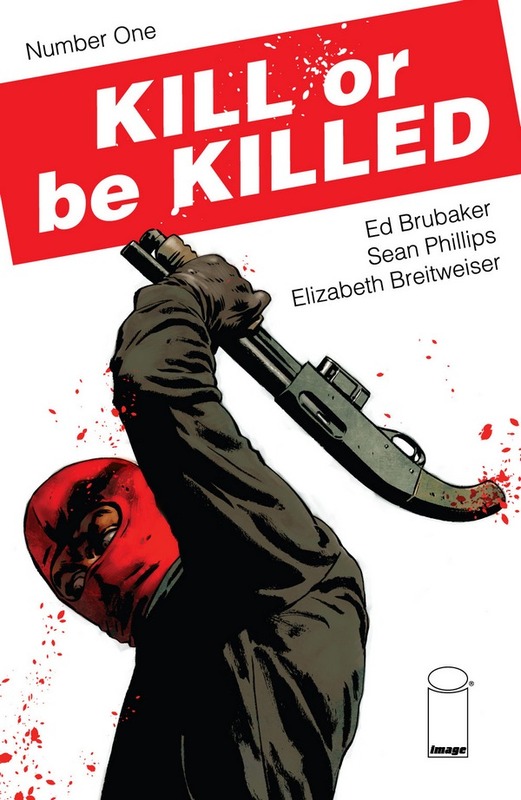 KILL OR BE KILLED # 2 (Diamond Code JUL160757) hits stores on Wednesday, September 7th and the final order cutoff deadline for retailers is Monday, August 15th.